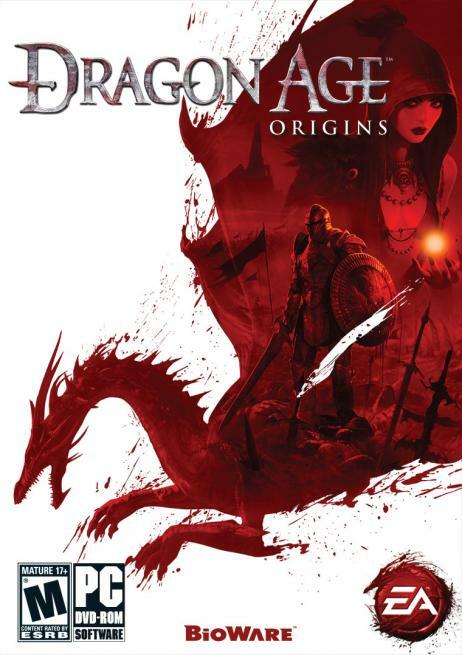 I'll be publishing a much more elaborate Dragon Age: Origins preview in September, but for now I've been given the green light to talk about the GamesCom demo I was shown during a recent trip to BioWare's headquarters in Edmonton. The demo's sole focus was on the consequences that are tied to a difficult choice we have to make after discovering the Urn of Sacred Ashes - an artifact that lead designer Mike Laidlaw described as the "holy grail" of Ferelden. As the remains of the prophetess Andraste, these holy ashes are imbued with the power to cure any illness, disease, or other affliction. The urn has been hidden within an ancient temple for centuries, and you're only able to reach it by surviving a series of trials that comprise "The Gauntlet". Ultimately, you're here to acquire a pinch of ash from the urn in order to save the terminally ill king of Redcliffe, Arl Eamon. But what if the remaining ashes were to fall into the wrong hands? What if the darkspawn were to raid the now-unguarded temple and use the ashes to strengthen their own armies? It was unclear how many different options you have at this pivotal point in the game, but I was shown the consequences of two of them. If you take a pinch of ash for the king and destroy the remaining ashes, both the good-natured Leliana (your rogue/bard) and the devout Wynne (your mage/healer) will turn hostile over your sacrilegious actions. Flemeth's daughter Morrigan (the fourth member of this party) cares nothing of the urn's fate, so a two-on-two battle erupts right in front of the artifact's resting spot. Suffice it to say, your adventures with Leliana and Wynne are officially over. Blood is spilled yet again when you're forced to launch a blade into the cranium of Brother Genitivi, the overzealous guide who initially brought you to this temple. But what are three deaths compared to the deaths of millions at the hands of a strengthened darkspawn army? Should you take a pinch of ash for the king and leave the artifact to become a religious attraction, then it also becomes a target for the world's most sinister denizens. As you leave the temple, a High Dragon swoops in and you're forced to do battle with "one of the worst predators in all the land." The dragon fight was impressive, as it's not just a group of four adventurers hacking away at the beast's underbelly while it claws and bites. Instead, the dragon makes use of a flying stomp attack, a disorienting wing buffet, tail swipes, and fire-breathing to put an end to your party members' lives. After a lengthy battle, the demo concluded with Leliana climbing atop the dragon's head and driving her sword into it. Sure, that's two blade-to-the-head deaths in the same ten-minute span, but you'll only see one of them until your next play-through. After the demo, I was told that your approval rating with Leliana and Wynne can help sway the outcome of the first decision, and that these two party members would find fault with your decision regardless of whether or not they're in your party or at base camp when the decision is made. On the flip side, surviving a dragon attack isn't the only obstacle you'll have to deal with if you leave the urn intact. According to Mike, this decision will have other rippling effects throughout the game. In any event, it'll be interesting to see how decisions like these play out firsthand when the game ships in November. Check back in a couple of weeks for my full preview of the game.